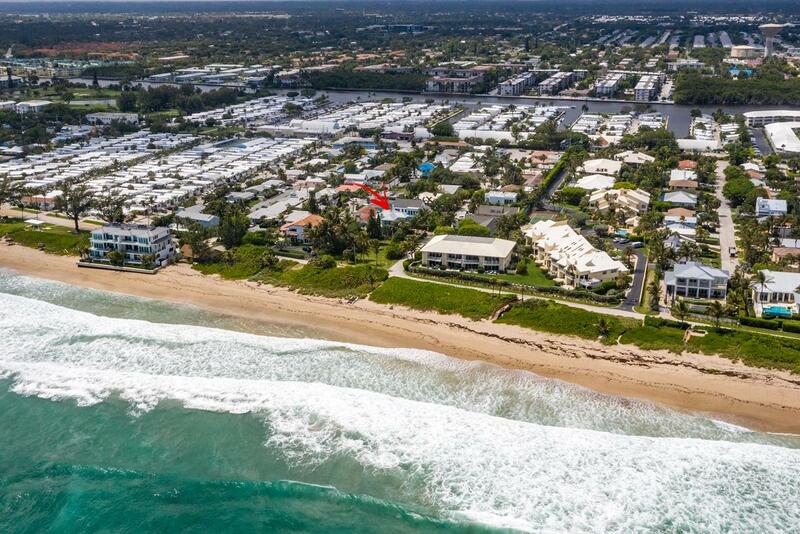 All PALM BEACH SHORE ACRES homes currently listed for sale in Delray Beach as of 04/21/2019 are shown below. You can change the search criteria at any time by pressing the 'Change Search' button below. If you have any questions or you would like more information about any Delray Beach homes for sale or other Delray Beach real estate, please contact us and one of our knowledgeable Delray Beach REALTORS® would be pleased to assist you. 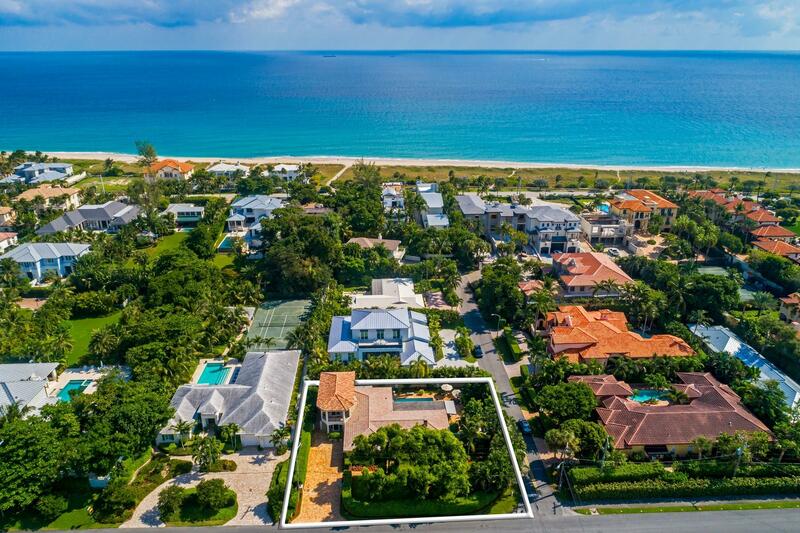 "The oceanfront estate at 719 North Ocean Boulevard in Delray Beach offers 100 feet of direct oceanfrontage in a private compound setting situated on .42 acres. With finely appointed finishes and over 8,500 total square feet, the five bedroom residence provides a luxurious setting for enjoying endless ocean vistas. The manicured grounds and tropical landscape perfectly frame the seaside pool and inviting beach path through the dune. Enjoy formal festivities and casual gatherings with a chef's kitchen and floor plan that flows effortlessly from the elegant interior spaces to the resort-style grounds. Atlantic Avenue's boutiques and restaurants are just blocks away with Palm Beach and Boca Raton a pleasant drive along scenic A1A. Your lifestyle awaits at this prime oceanfront offering." 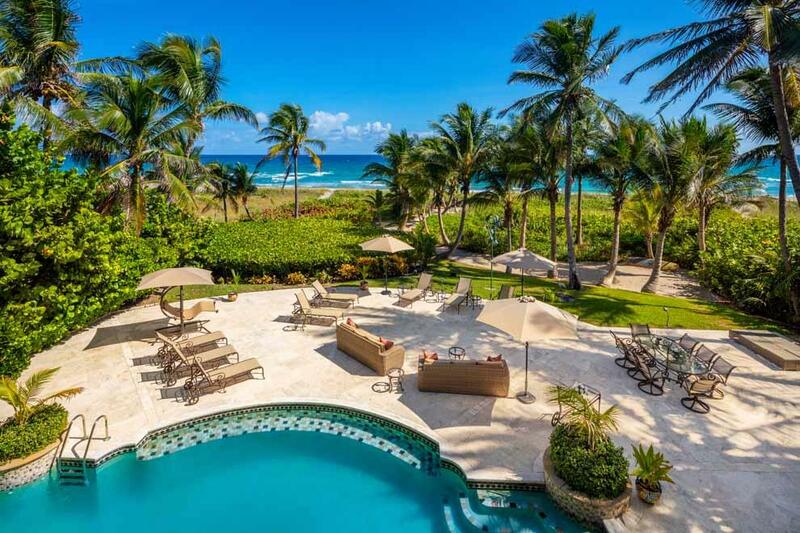 "THE PROPERTY IS LOCATED DIRECTLY ON THE OCEAN IN THE TOWN OF OCEAN RIDGE. THIS UNIQUE LOCATION IS ON OLD OCEAN BLVD, WHICH IS A PEDESTRIAN STYLE STREET WITH FOOT TRAFFIC, JOGGERS AND CYCLISTS. THE VIEWS FROM EVERY FLOOR ARE OCEAN! OCEAN! OCEAN! FLOOR TO CEILING WINDOWS. THE QUALITY OF THIS UNIT IS UNSURPASSED. LARGE TERRACES ON EVERY LEVEL LET YOU ENJOY THE OCEAN VIEWS!" "Newly built estate epitomizes effortless indoor/outdoor living in chic modern flair with coastal touches. Vanishing glass doors connect the resort-inspired pool space to the bright open interiors featuring a floating staircase, 2-sided fireplace and Euro-style kitchen. The exquisite first-floor master suite enjoys a spa-like bath opening to a private garden with outdoor shower. Close to the beach and Atlantic Avenue. The information herein is deemed reliable and subject to errors, omissions or changes without notice. The information has been derived from architectural plans or county records. Buyer should verify all measurements. 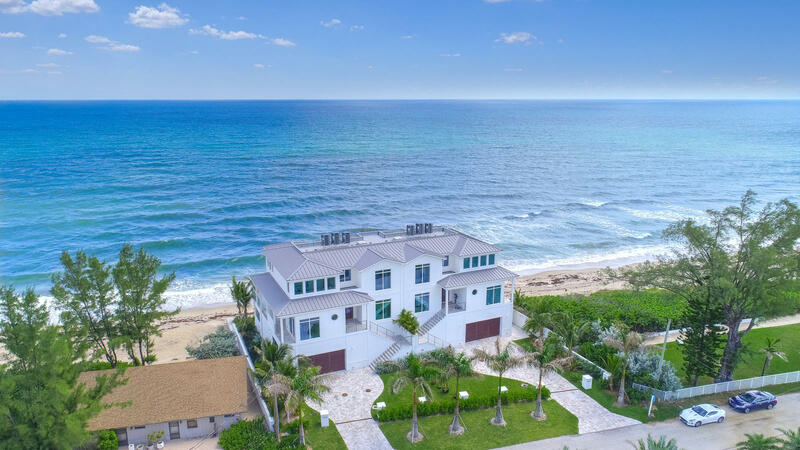 Buyer must pay Development fee of 1.5% of purchase price at closing"
"Recently updated beautiful beachside retreat with 4BD,5BA in the heart of Delray Beach. Walking distance to downtown Atlantic Ave & steps away from the beach make this estate the perfect LOCATION. Aside from the recent updates The entire property went through a major renovation in approx 2013 with separate guest house addition. Hurricane impact windows & doors, Private setting w/ mature landscaping. The huge outside entertainment area includes heated pool, summer kitchen, bar area with seating for 10, & oversized patio. Separate entrance 1Br guest house with full kitchen, ss appliances & granite counter tops & marble & wood flooring. 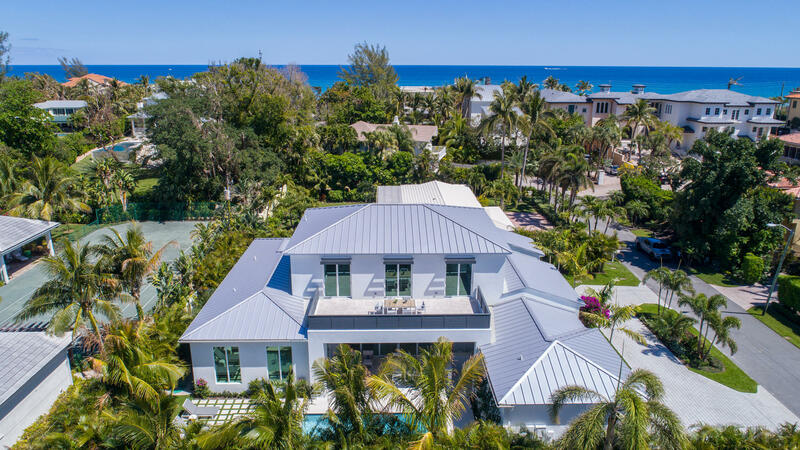 Main house's gourmet kitchen has Brookwood custom cabinetry, a 5 Star 6 burner gas stove, commercial grade refrigerator, double oven & Butler Pantry with"
"Wonderful Key West home steps to the Ocean! Enjoy the look and feel of being in Key West while living within minutes of all that Palm Beach County has to offer. This charming custom home has 3,400 SF with 4 bedroom, 3.5 bath and was designed by well-known architect, Randy Stoft. You'll love the home's Key West design, from the beautiful marble and hardwood floors, to the openness of the floor plan. Warm natural light bathes the home through large bay windows on both the main level and from the upper level balconies." Please create your FREE account to enjoy all of our features!